How can you monitor your children and most importantly, your mischievous pets at home when you are far away and sitting at your desk working? Or, even check on your ailing parents or grandparents? You can do nothing even if any mishap takes place during your absence. Any emergencies can take place anytime! But, with the knowledge of the on goings at home or even at some other place while you sit miles away, can save the person or the pet from any potential dangers. You can always call for help either from your dear neighbours, the police authorities or from a fire station. Also, in an office environment, you can check on your employees’ actions. The presence of a CCTV camera also makes workers conscious of their doings or wrongdoings, in case.. This also avoids them from committing any action that goes against the management protocol. Now, you don’t have to worry about who you left at home, about their mealtime or even what they are doing. 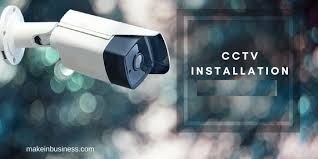 CCTV Installation have got all on tape so forget about the major sudden mishaps since you can control every little detail too. You can remind your ailing person of the medicine that they skipped over a phone call. And if any big problem is to take place, you can easily stop it prior to any major occurrences. But, the major question that arises now is how can you install the cameras in your house? This article emphasizes just that! All your places are sealed under your vigil, which helps solve crimes as well. Security cameras have certain other benefits which you must know in details. Now, you must familiarize yourself with certain the advantages that you get after a CCTV installation. The first one, obviously, is that it performs as a crime deterrent. This is one of the major aspects that one installs a camera to avoid, or rather, detect and solve. Several illegal activities are in danger of being identified easily. Also, your house is under your surveillance all the time. So, you know the happenings inside your house as well as your office or restaurants or any place that you own! Also, if some mishap takes place, such as things missing, they can be tracked with the help of such omnipresent eyes. You can accumulate sufficient evidence to find the lost object and the way it was misplaced. Apart from that, it also helps in keeping records of the happenings of every day. In certain cases, you may want to refer to the previous days’ ongoings just to track some event. And the cameras installed are just what can get you through! However, let us delve into the processes that you can set them up! 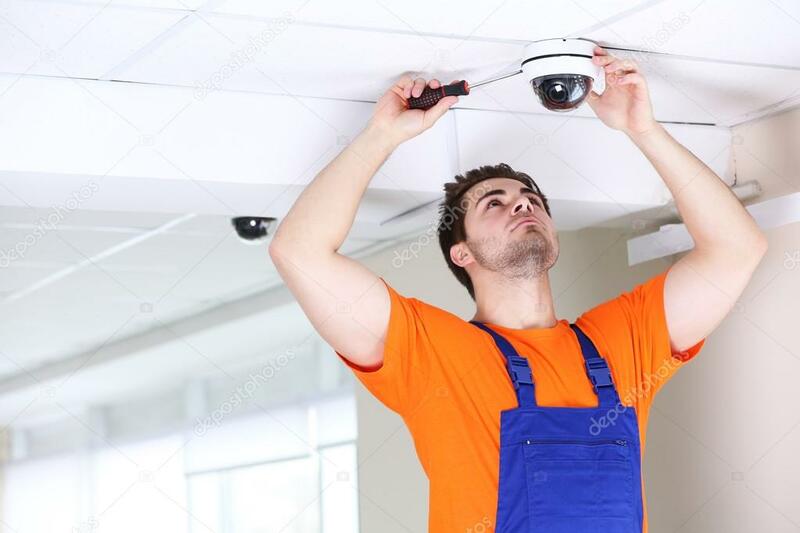 The standard installation and CCTV Maintenance Services for all cameras models including secure eye camera, CP Plus camera and Hikvision Camera will be done easily with our skilled and experienced technicians. Hence, you may never face any issue during installation. 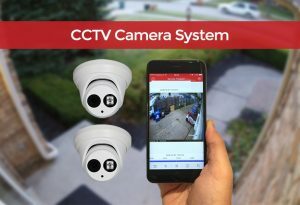 How to do CCTV Installation? Now, coming to the critical portion, this involves certain skills which can get you through the entire CCTV installation process quite easily. However, note what you’ll require to fix them. Without much ado, let me take you through the elements that you need to set the cameras up. Note them down and remember to keep them handy during the entire time. You definitely do not want to climb down and go looking for what you need at the prime time. This also makes you lose precious time. The components are laid below clearly. A monitor, keyboard and a mouse. That said, let me move over to the procedure. When you want to install a camera in your place, selecting any place for it to sit isn’t convenient. You should consider certain aspects or else you find your cameras damaged and not responding at all. For instance, install a camera set on the outside wall adjacent to the front door. Choose the upper corner section if routing the cable from there to the DVR box seems easy. Now, that is the only confinement when it comes to the installation of the cameras. In your office or any other workplace, set it in a wide angle which covers most of the area. And if you have multiple cameras, you can fix the next accordingly. Also, take care of the fact that it does not get ruined by bad weather. Place it at such an angle to avoid any such issues. Now, depending on the location that you desire to install, you may require different tools. However, generic installation needs the common drilling through drywall, aluminum, and wood. And if you plan to set on bricks, then drill by a hammer drill. In any case, begin by creating a hole where the CCTV cables can feed through. Also, make holes that for mounting the screws. Hold up the camera to the ceiling or the wall then mark the holes with the help of a pencil. They are your drill marks. Bring in the drilling machine and begin the roaring! Use a spade to treat the bigger hole in the center. Then, run the cables to every camera locations. Now, this is a site where the order of things differs according to various situations. Nevertheless, all you do is drill holes either through ceilings or through walls in order to feed cables. Feed different lengths to the edges wherein the cameras are. But, with steel fish tape, it is extremely easy as it lessens the work. Normally, it is challenging to locate yourself physically at times. Channel all the wires to the DVR box. Again, you require a fish tape along with a power drill to make holes through the ceilings or walls. Now, this is a bit complex. 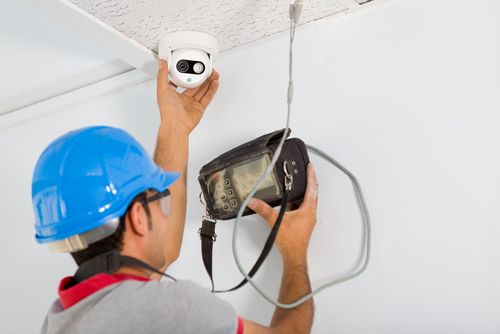 If you find it difficult and challenging, call the CCTV installation company in Dubai whose experts are proficient in tackling such businesses. You require another hole to drill to route them to the DVR box where you placed it. Channel all the cables and wires to connect it to the DVR. Now, the way you mount and set up the DVR box is entirely your choice. Most people want to have it mounted as power stips as well as surge protectors. Also, you can choose a tabletop as a location to place it. This is the relaxing moment since it takes just a few moments for each camera to set up. Begin by linking the wire peeking out from the gap to the camera. After that, feed the extra back up back into the hole. Also, you can wrap it to secure the connection with electrical tape to avoid accidental disconnections. Then, use the drilling machine and the screws to set up the cameras. After that, make certain adjustments like loosening or tightening to set it properly. After you channelled the cables throughout your place, connect and attach them to the DVR. This is an easy one for you. Just connect and link each wire to its own port after which you should connect the monitor to the DVR along with the keyboard as well as the mouse. Also, maintain a USB drive attached and plugged in. This comes handy when you need to extract footage in the future. Finally, the setup procedure is similar throughout every board. First, create a passkey or password along with setting the time and date. Follow through the extremely easy instructions to get them going! Set everything according to your preference and personalise them. 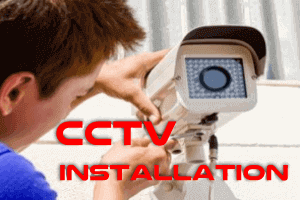 The above steps are sufficient to get you with the successful CCTV Installation. So, If you have any further query regarding the CCTV Services connect via urbanclap.ae or dialing our number @ 042053349 and get assisted immediately.